GOLD AWARD SPOTLIGHT: Rebecca cheers and comforts senior citizens for her Gold Award! 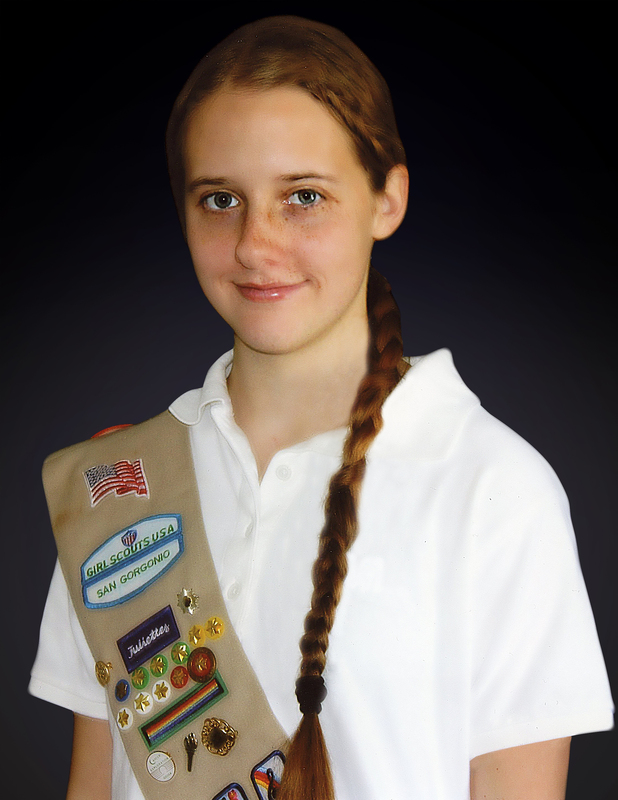 The Girl Scouts of San Gorgonio Council congratulates Rebecca on earning her Girl Scout Gold Award, the highest achievement in Girl Scouting. Rebecca, along with the girls of the Young Women’s Group, made blankets for warmth and comfort for the elderly in the High Desert. She asked for, and received, donations of fabric from members of the community. She presented 59 fleece blankets to the residents at Rimrock Villa Convalescent Home in Barstow, California. The Young Women’s Group will continue to make blankets and conduct quarterly traditional follow up visits to build on the friendships they have made at the home. Previous Previous post: GOLD AWARD SPOTLIGHT: Hannah returns special needs choir to Redlands High School! Next Next post: GOLD AWARD SPOTLIGHT: Amanda’s project demonstrates Native American culture!